I was observing a client of mine who is in a group setting. I couldn’t help but notice another student in the group (not one of mine). This other child is not able to speak and really wanted to play with the play-doh. So what did he do? He screamed until the teacher gave in and he got what he wanted. This child had no consistent way of getting his needs met so he was using what worked for him – screaming. It broke my heart – this child knew what he wanted but he had no effective means of communicating it. We are all programmed to use whatever method we can to get our needs met. As babies, it looks like crying and screaming; then morphs into tantrums in the terrible twos until language develops by 2-3 years. As children get older, they learn that using their words get their needs met more efficiently so the crying and screaming decrease (hopefully). But what happens when a child’s language is not developing typically and they cannot use words to get their needs met? 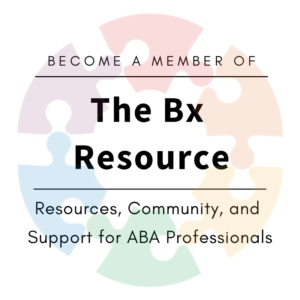 The first thing we look at when we begin an ABA program is: How is this child communicating? This does not only mean verbally, it can be with signs, gestures, eye contact, pointing, pictures, etc. If a child doesn’t have words yet, here are 7 steps to implementing a basic picture communication system. Back in the day, implementing a picture communication system meant using Boardmaker symbols or even taking pictures with a camera and waiting to get the film developed (depends how long you’ve been doing this!). Today, phones make it so easy to take a quick picture and print it out. We recommend that the picture be taken against a plan black or white background with nothing else in the picture – only the item the child will be asking for. You can then load the pictures into Boardmaker, use something free like Picto Selector, or even just print them straight from your phone. Put the picture of the preferred item as close to the item as possible and accessible to the child. If the child often asks for cookies, stick a picture of the actual cookie on the cupboard (if it’s low enough for the child to reach). This step involved being very in touch with the child and making sure that you’re aware of what toy or food he wants. He may try to grab the item or cry and scream to access it. Catch his motivation before either of those happen and prompt him to exchange the picture. So if your kiddo is going to grab his favourite toy, get there before him and prompt him to exchange the picture (see above step – the picture should be as close as possible to the item). The child may need help at first, physically prompting him is okay. We start with having an open hand right near the picture so that it’s really easy for the child to make the exchange. When the child exchanges the picture (with your prompting or without), you want to try to get him to verbalize. Hold up the picture that he just exchanged and label it. So if he gave you a picture for a car, hold up the picture and say “car”. Accept ANY approximation of the word while the child is starting out. This can always be shaped. We want the child to learn that when he exchanges the picture, he also has to turn on his voice. Keep the label that you model as simple as possible. Don’t say “car, please” or “I want car”; just “car”. What if the child doesn’t make any sound? Label it for him up to 3 times. If you’ve modeled the word 3 times, give him the item and try again next time. Don’t wait it out to the point of frustration. 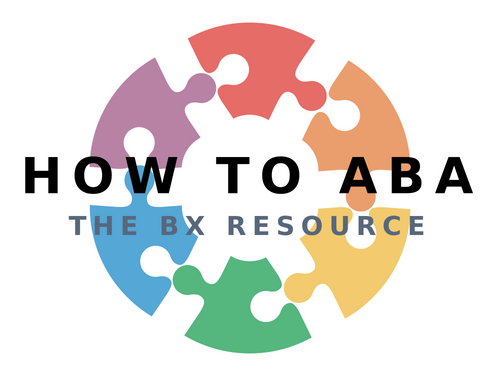 I began to work with a child who was not yet speaking, setting up an ABA program for him. He was working with an SLP who was trying to implement a picture exchange system. She was using a symbol for the child’s preferred food – a cookie. The parents and the SLP were frustrated because it was not working. One of the first things I did for this guy was to replace the symbol of the cookie with a picture of the actual cookie that he likes. We followed the steps above and only a few months later, this guy is using a picture communication system like a champ! Next week: I like the idea of pictures, but then how will he ever learn to talk? This entry was posted in ABA, Autism, communication, Uncategorized. Bookmark the permalink.